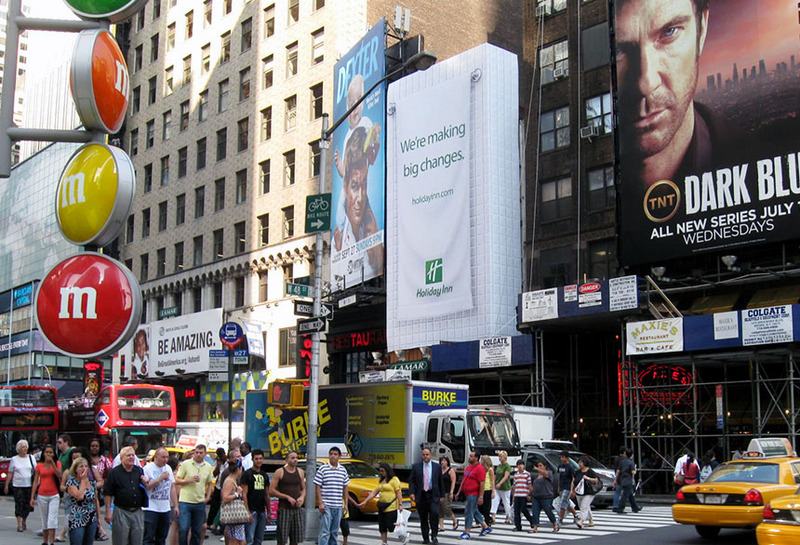 This Holiday inn Wallscape in New York City, NY used the shape and size of the space to their advantage. This Holiday Inn creative advertised the changes they were making as a brand by turning the Wallscape into a bathroom wall and towel rack. The stark white of the creative contrasted efficiently with the colorful Wallscapes around it, so that passersby were drawn to the negative space of the Wallscape.